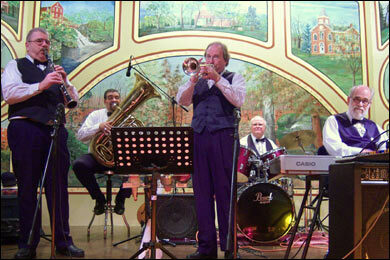 Dixieland jazz music, swing, buy CD's or download free jazz soundclips at Razzamatazz & Jazz! Razzamatazz & Jazz has over 18 years of experience in performing your favorite jazz music ..! We have performed all over the continental United States for businesses, country clubs, clubs, fraternal, trade & social organizations and private clubs. Each one of us loves to play our instruments and this love transcends to our music...The Happiest Music In The World...JAZZ! 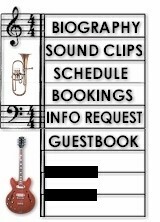 Our performances are always top-quality, family oriented and affordable so if you're looking for a memorable night with your favorite dixieland jazz or swing music, just fillout our brief Booking Form and we'll contact you promptly!